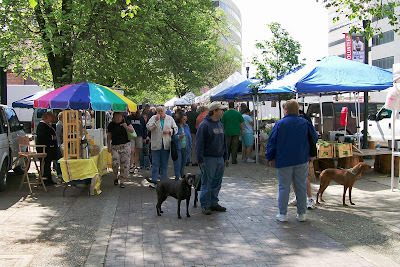 During the summer, Lexington has a farmers' market each Saturday on Vine Street. Early spring brings vendors with flowers and exotic heirloom vegetable plants. Later in the season, you will find locally grown vegetables and fruits. Cheeses, wines, and meats can be found all season. You may also see an occasional street musician.